Folksmiths Billy Bragg and Joe Henry hopped on a train earlier this year to record some railroad classics for their forthcoming Shine a Light album, and have announced that they'll be traveling around North America this fall to support the release. A press release confirms that the duo will be hitting the club circuit come September. It's being promised that the pair will be performing cuts from the upcoming collection, which arrives September 23 through Cooking Vinyl, along with "favourites from their own back catalogues." While the bulk of the dates are down in the U.S., a Canadian date is scheduled to take place October 4 at Toronto's Danforth Music Hall. You'll find the rest of the North American tour route below, while info on European dates can be found over here. Its explained that Shine a Light took shape in March 2016, when Bragg and Henry hopped aboard a Los Angeles-bound train from Chicago. The pair's plan was to "reconnect with the culture of American railroad travel and the music it inspired," and throughout their travels, they recorded songs in waiting rooms and "at trackside while the train paused to pick up passengers." 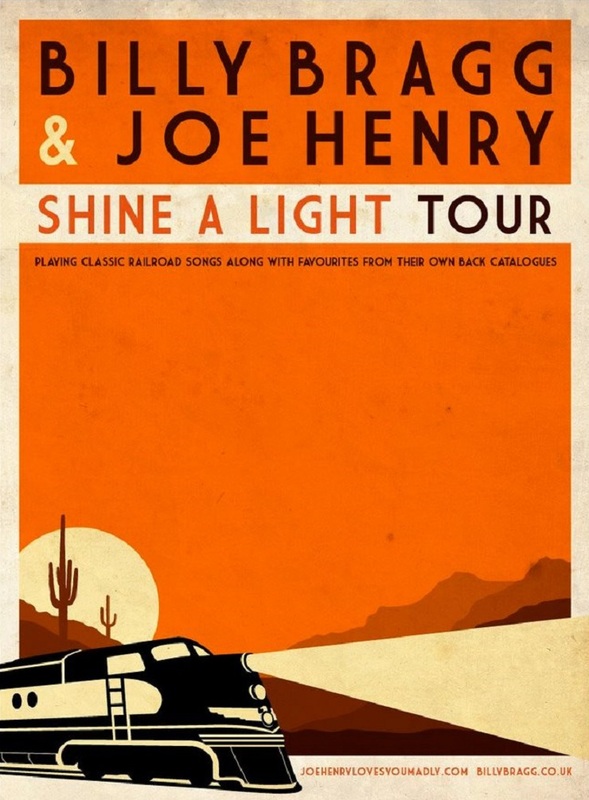 The songs included on Shine a Light include steel-driving standards like "John Henry," as well as Gordon Lightfoot's "Early Morning Rain," and songs made famous by Hank Williams, Lead Belly, The Carter Family, Jimmie Rodgers, and Glen Campbell.